Are Authoritarian Constitutions Really Shams? Tom Ginsburg, the co-author of Constitutions in Authoritarian Regimes , breaks down the concept of "constitutions without constitutionalism" in dictatorships like North Korea and Mubarak's Egypt, outlining the different roles these constitutions can play for authoritarian rulers. “What is the difference,” went an old joke in the Soviet Union, “between the Soviet and U.S. Constitutions? The Soviet Constitution guarantees freedom of speech; the U.S. Constitution guarantees freedom after speech.” The joke captures the common intuition about the function (or dysfunction) of constitutions in authoritarian regimes. Many other examples abound: citizens of North Korea might be surprised to learn that they are guaranteed rights to free speech, assembly, and association. If citizens of Niger could even read their constitution (the adult literacy rate is under 30%), they would learn that it guarantees each citizen the right to health and education, even though the country ranks 182nd out of 182 countries rated by the Human Development Index. Authoritarian constitutions, in short, are sham constitutions. Yet these examples raise a question. Why would authoritarian regimes spend time and political energy drafting constitutions that they do not intend to implement? There is a standard answer: the constitution is a legitimating device for the state, both nationally and internationally. But this answer begs the question: how can an obvious sham document generate any legitimacy? To illustrate the point starkly, why would Bashar al Assad’s Syria pass a new Constitution in 2012 to try to save their regime? Different constitutions, and individual provisions within constitutions, can play various roles at different times. My recent co-edited volume Constitutions in Authoritarian Regimes (part of a new CUP series on Comparative Constitutional Law and Policy) begins to attack this puzzle. 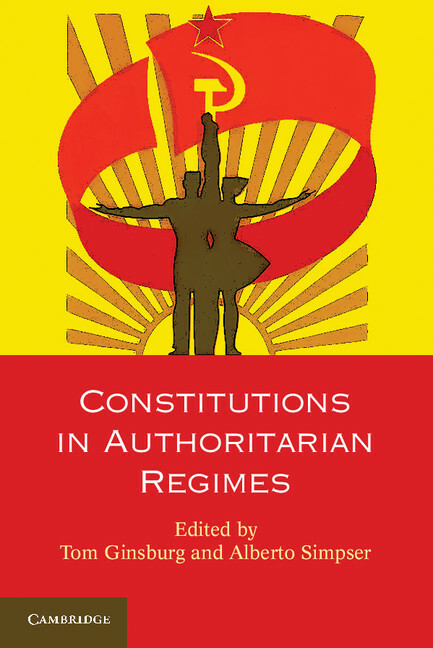 We argue that constitutions in many authoritarian regimes actually do matter, in some cases by helping rulers to extend control, and in other cases by tying their hands. “Constitutions without constitutionalism”, as one writer has called them, are not always just shams; instead they can serve to help regimes to advance important goals. To develop this point, we distinguish several different roles constitutions can play. They can be operating manuals, which describe how government institutions should work and interact; they can be billboards, designed to advertise a policy or political position; they can be blueprints, focusing political attention toward future goals; and they can be window dressing, designed to obfuscate (as captured by the Soviet joke above). Different constitutions, and individual provisions within constitutions, can play various roles at different times. Authoritarian regimes may be particularly likely to treat constitutions as blueprints. Mexico’s 1917 Constitution, to take one example, was particularly innovative with regard to economic and social rights, promising land, education and labor to the citizenry. These provisions might not have been mere window dressing for a totalitarian party, as might be said of equivalent promises in Stalin’s Constitution of 1936, but instead could be understood as aspirations. The land reform promises articulated in the Mexican constitution influenced land policy over the decades that followed, during which a large proportion of farmland was redistributed. But looking at them from the perspective of, say, 1930, one might have called them shams. Kristen Stilt’s description of constitutional amendments in Egypt (Chapter Ten in the book) provides a nice example of how a single provision can play multiple roles. When Hosni Mubarak was confronted with external pressure to liberalize the Egyptian political system in 2005, he modified the article of the Constitution dealing with presidential elections. The new scheme was detailed and complex, providing that nominees could only come from political parties that had been in existence for five years, and had five percent of the seats in each house of parliament. Only Mubarak’s party met the threshold, but other legal parties (which did not include the Muslim Brotherhood) were allowed to nominate candidates for the first election. The provision served as a complex operating manual, laying out a scheme which could be followed to the letter, while maintaining Mubarak’s rule. But it also served as window dressing, providing just enough democratic veneer to forestall further American pressure. The bottom line of our collection is that rules matter, even when there is a lot of discretion at the top. No single person rules absolutely and therefore there is always a need to help the group at the top coordinate their own behavior, as well as for devices to control subordinates. In some circumstances, constitutions serve to meet these functional needs. Authoritarian constitutions also structure authoritative discourse and provide a political idiom, whether it be of a “socialist market economy” or blessing the family and civil society (as did Pinochet’s Constitution of Chile in 1980). By setting the terms of political discourse, constitutions can define what is acceptable as opposed to unacceptable language. In an era in which “competitive authoritarian” regimes, such as Putin’s Russia or Khamenei’s Iran, are on the rise, we ought to move beyond simple characterizations of authoritarian constitutions as shams. In doing so, we will gain insights into how these regimes remain so resilient.